Republican candidate for U.S. Congress Joe Kaufman has contacted the office of Congresswoman Debbie Wasserman Schultz to call on her to cancel an April speech she is planning on making at a fundraising banquet for a radical Muslim group. Kaufman, who is vying to unseat Wasserman Schultz in Florida's District 23, has co-authored an article detailing the extremist ties of the group she is scheduled to address, EMERGE USA. 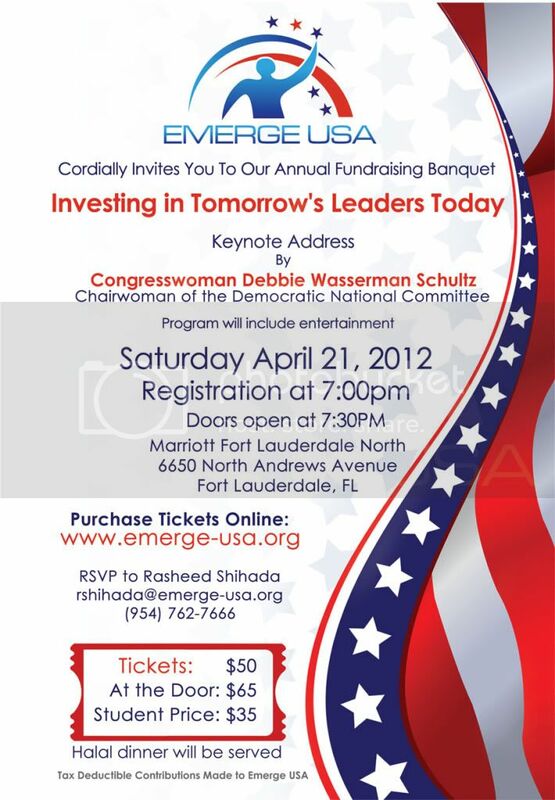 According to a flyer put out by the group, Wasserman Schultz will be its Keynote Speaker. As stated in Kaufman and co-author Beila Rabinowitz's article about this, which was published today in David Horowitz Freedom Center's FrontPage Magazine, representatives from EMERGE have been associated with anti-American, anti-Israel and Islamic supremacist statements and activities. EMERGE USA's chairman Khurrum Wahid has given legal assistance to a convicted al-Qaeda operative; persons who provided tens of thousands of dollars to the Taliban to murder U.S. troops; an individual who plotted to assassinate President Bush; and a girl who the FBI suspected of being a potential suicide bomber. As well, the individual listed on the EMERGE flyer as the RSVP contact of Wasserman Schultz's event, Rashid Shihada, posted on his Facebook homepage a video in support of a senior member of Palestinian Islamic Jihad. 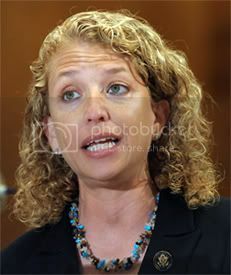 Kaufman stated, "It is outrageous that DNC Chair and Congresswoman Wasserman Schultz would consider helping to raise funds for a group that presents such a blatant danger to the United States and our free society. I call on Debbie to cancel her keynote speech immediately." The Kaufman campaign is planning a protest to include community leaders outside the venue of Wasserman Schultz's April 21st EMERGE fundraising speech. Directions: Take Interstate 595 West to Interstate 95 North to exit 33B (Cypress Creek West). At the second traffic light turn right onto Andrews Avenue and hotel is one half mile on the right. All are welcome at the demonstration. Demonstrators are asked to bring their American flags. ALL SIGNAGE WILL BE PROVIDED BY THE JOE KAUFMAN CAMPAIGN. Click here to contact Debbie to tell her to cancel (Please be respectful).